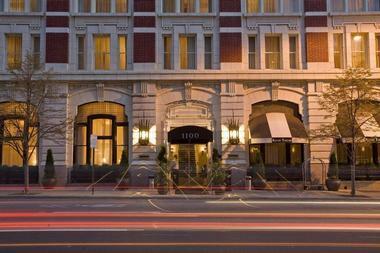 Hotel Teatro is a stylish and sophisticated boutique hotel in the heart of downtown Denver. Ideally located to explore Denver, the hotel is situated across the road from the Denver Center for Performing Arts and within walking distance of several of Denver’s top attractions. Well-appointed guest rooms and suites boast contemporary chic décor, and deluxe amenities add a touch of glamor, such as oversized soaking bathtubs, rain showers, plush Frette terry robes, iPod/iHome docking stations, and 24-hour in-room dining. Stylish guest rooms and luxury suites feature queen or king-size pillow-top beds with luxury linens and hypoallergenic pillows, en-suite bathrooms with double rain showers, deep soaking tubs, and conveniences such as Keurig in-room coffee makers, flat panel, high definition LCD televisions, iPod/audio docking stations, and complimentary wireless Internet access. Petite Manhattan Rooms are 200 square feet in size and feature double beds with luxury linens and hypoallergenic pillows, and en-suite bathrooms with double rain showers, plush towels and bathrobes and designer toiletries. 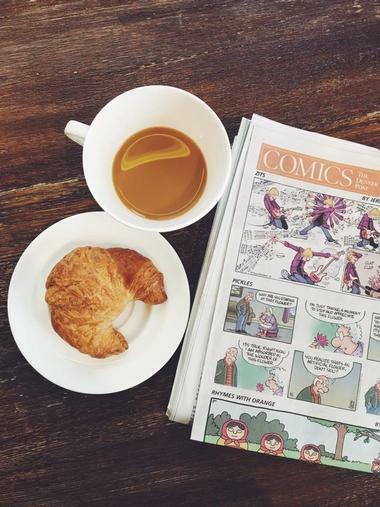 Deluxe amenities and services include Keurig in-room coffee makers, flat panel, high definition LCD television, 24-hour in-room dining, and complimentary daily local and national newspapers. Petite Queen Rooms are 245 square feet in size and offer one queen-size bed with luxury linens and hypoallergenic pillows, and all the same amenities as Petite Manhattan Rooms, and Petite King Rooms are 285 square feet in size and feature the same with king-size beds. Superior Queen and King Rooms are 330 square feet in size and have one queen or one king-size bed with luxury linens and hypoallergenic pillows, en-suite bathrooms with double rain showers, plush towels and bathrobes and designer toiletries, and deluxe amenities and services, while Superior Queen with Balcony Rooms enjoy private balconies with stunning views. Deluxe Two Queen Rooms are 500 square feet in size and offer two queen-size beds, Deluxe King and Deluxe Corner Rooms feature king-size beds, and the same amenities and services. Junior Suites are 550 square feet in size and feature king-size beds with luxury 15" mattresses, imported linens, and hypoallergenic pillows, as well as queen-size sleeper sofas for extra guests. These suites have en-suite bathrooms with oversized deep-soaking tubs, floor-to-ceiling rainforest showers, double vanities, plush towels and bathrobes and designer toiletries, and deluxe amenities and services, including Keurig in-room coffee makers, high-definition LCD television, 24-hour in-room dining, and complimentary daily local and national newspapers. The Chancellor’s Suites are 1400 square feet in size and feature wood-paneled wall, spacious sitting areas with limestone fireplaces, and king-size beds with luxury 15" mattresses, imported linens, and hypoallergenic pillows, as well as queen-size sleeper sofas for extra guests. These suites have en-suite bathrooms with oversized deep-soaking tubs, floor-to-ceiling rainforest showers, double vanities, plush towels and bathrobes and designer toiletries, and deluxe amenities and services, including Keurig in-room coffee makers, high definition LCD television, 24-hour in-room dining, and complimentary daily local and national newspapers. Located in Denver’s historic Tramway Building, the award-winning Nickel Restaurant has carved a name for itself amongst Denver’s food aficionados. Drawing inspiration from its rich Rocky Mountain heritage and its surrounding spaces, the menu fuses locally sourced ingredients with modern magic to create rustic, simplistic Colorado fare. 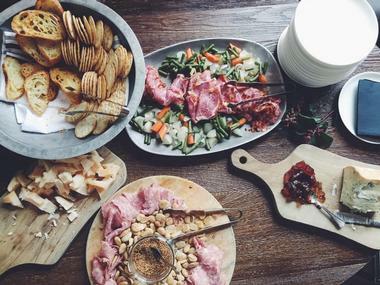 In addition to the unique dishes on the menu, an outstanding charcuterie menu that features handpicked cheese and meats from around the world is offered, as well as barrel-aged cocktails, on tap and fine wines from around the world at The Barrel Bar, which forms the centerpiece of the restaurant. 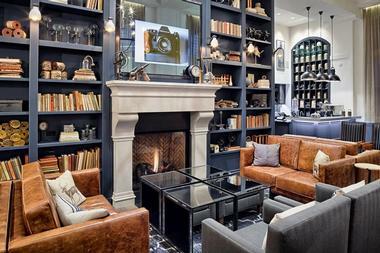 Hotel Teatro amenities include 24-hour access to the fully equipped fitness center, in-room spa and massage services available on request, and same day laundry and dry cleaning services. There is also 24-hour in-room dining, complimentary wireless Internet throughout the property, cruiser bicycles to use, a valet car service (additional fee), and a courtesy transportation service within a 2.5-mile radius of the hotel. Hotel Teatro presents unique and memorable meeting venues for all types of functions and events, ranging from weddings and receptions to business meetings and conferences. 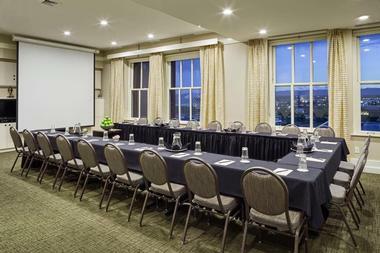 This Downtown Denver meeting space features an array of amenities and services to enhance any occasion, including event planning and management, catering services, professional staff, and tailor-made packages with accommodations, activities and more. 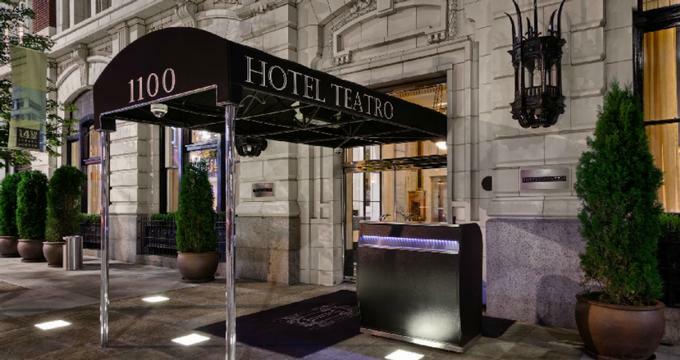 Hotel Teatro offers beautiful views of downtown and the Rocky Mountains and an idyllic location within close proximity to some of Denver’s best restaurants and eateries, boutiques and shops, museums, galleries and the Coors Field, home of The Colorado Rockies.